This set of notebooking pages is perfect to guide 2nd-6th graders on a research-based study of the 50 states of the U.S.A.
Category: Creative Charlotte Mason Tags: geography, history, notebooking, U.S.A.
Research-based learning is a proven method of instruction. 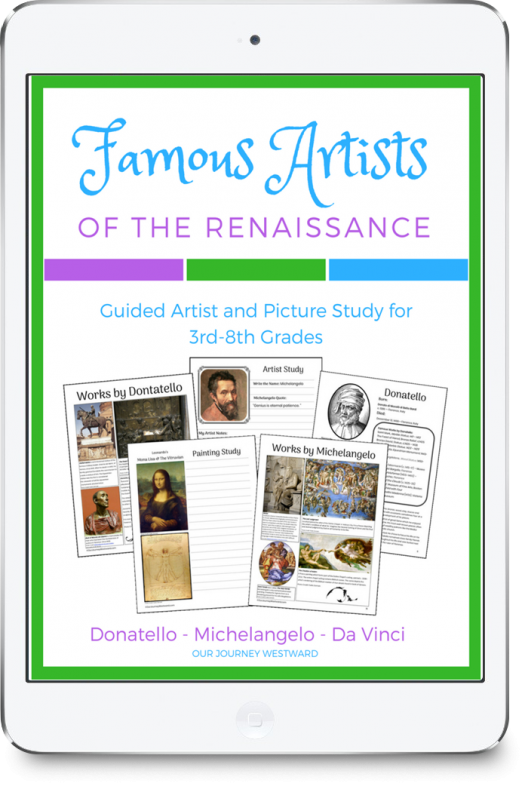 Because children are actively involved in their own knowledge, they remember what they learn more readily. 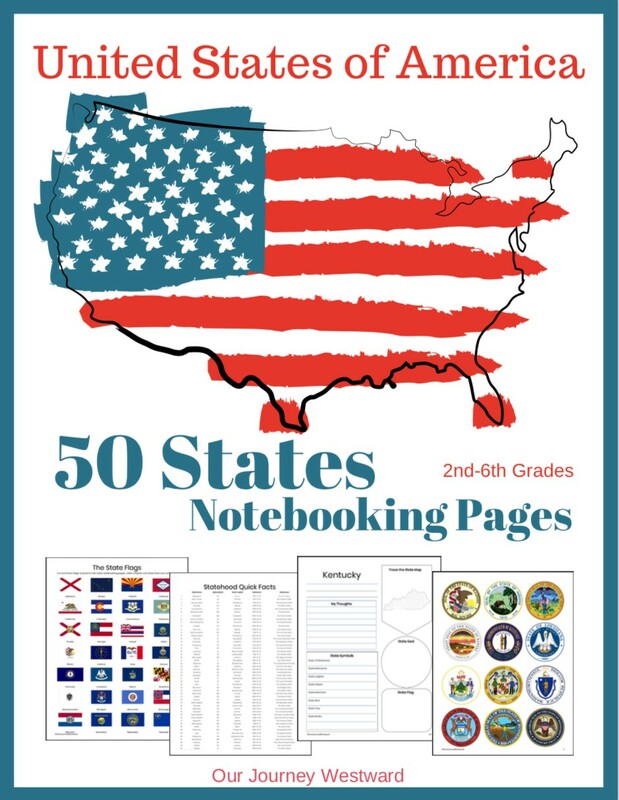 With these notebooking pages, your 2nd-6th grade students will compile thorough research notes as they learn about the U.S.A.’s 50 states. 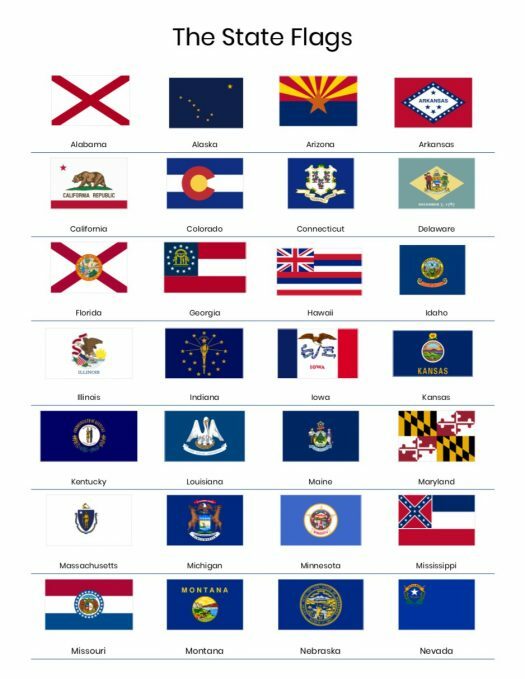 The printable set includes a notebooking page for each of the 50 states on which your children will compile information about state symbols and facts as they read books and/or websites about individual states. 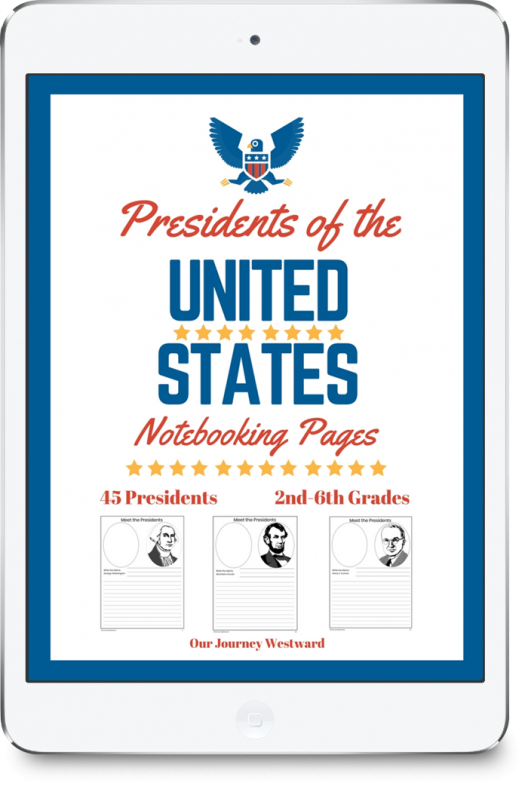 A traceable map is included on each notebooking page where your children can highlight notable places – like capitol cities, key historical sites, and/or major tourist attractions. Additionally, cut and paste full-color flags and state seals (included in the download) will make each notebooking page colorful and complete. 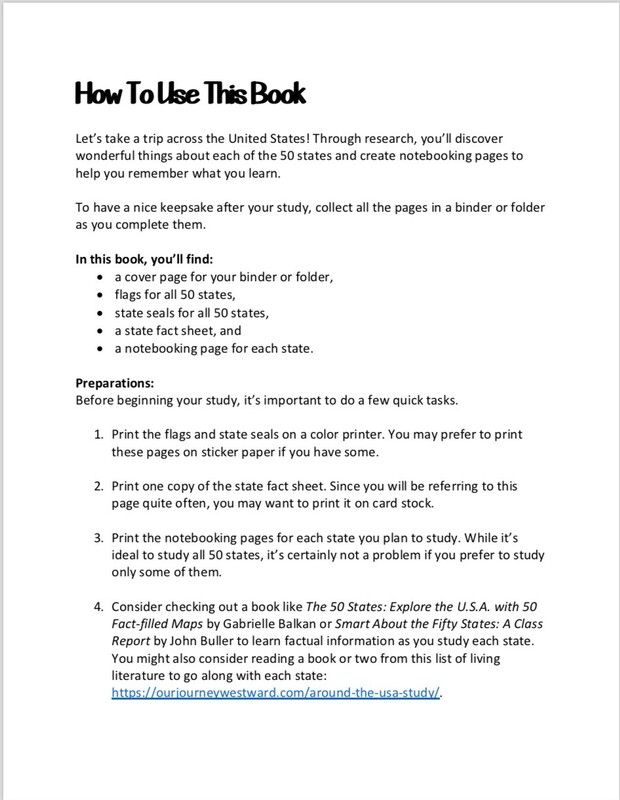 As the pages are completed, you can collect them in a binder or folder. A printable map of the United States is included which can be used as a cover page for the binder or folder. 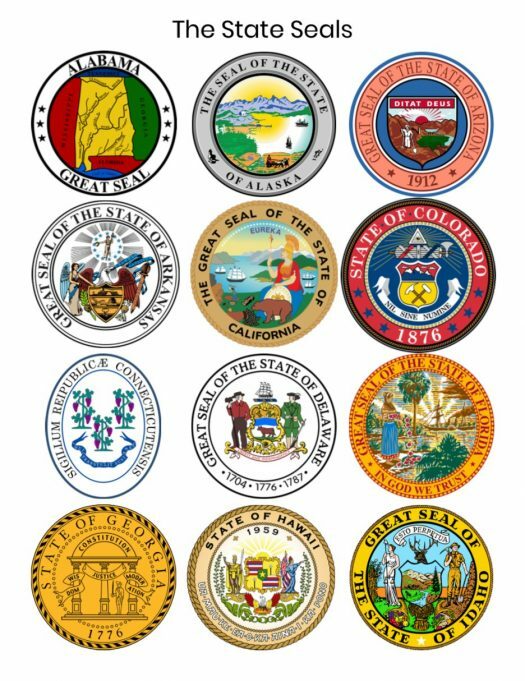 You may pick and choose which states to study and in what order. There is no need to learn about all 50 states, unless you wish. The notebooking pages don’t have to be used strictly with a study of the 50 states. 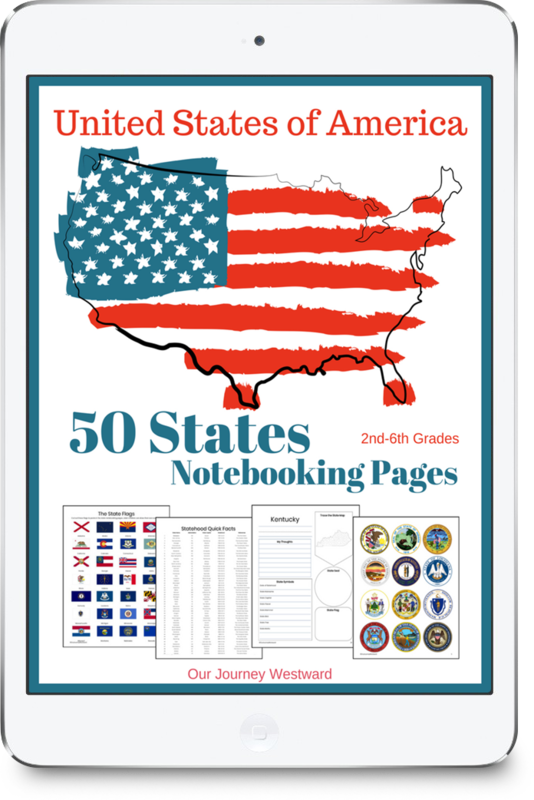 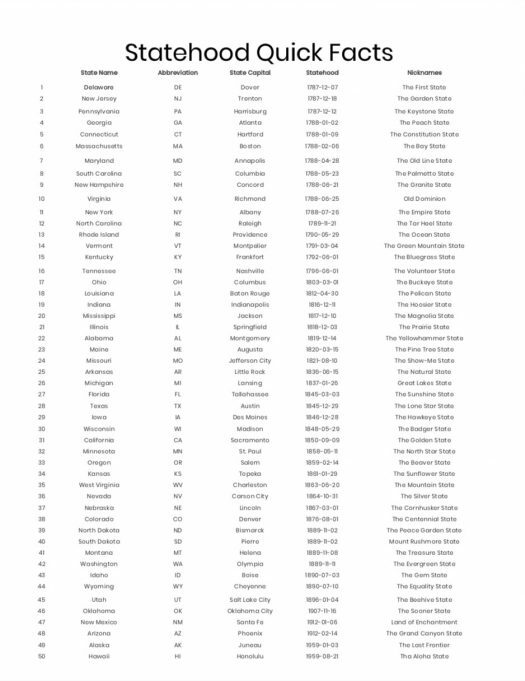 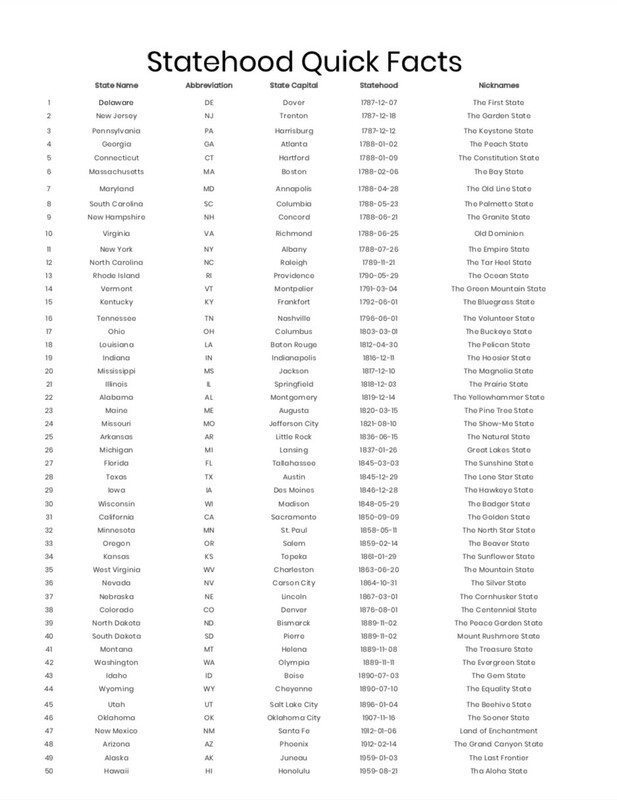 You might choose to print one or two here and there during various historical, government, or geography studies that are already taking place in your homeschool or classroom. 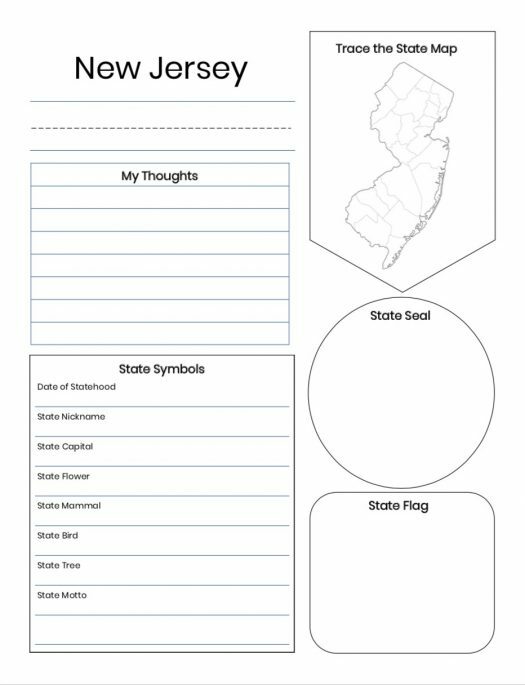 Notebooking is a wonderful option for sneaky writing practice. 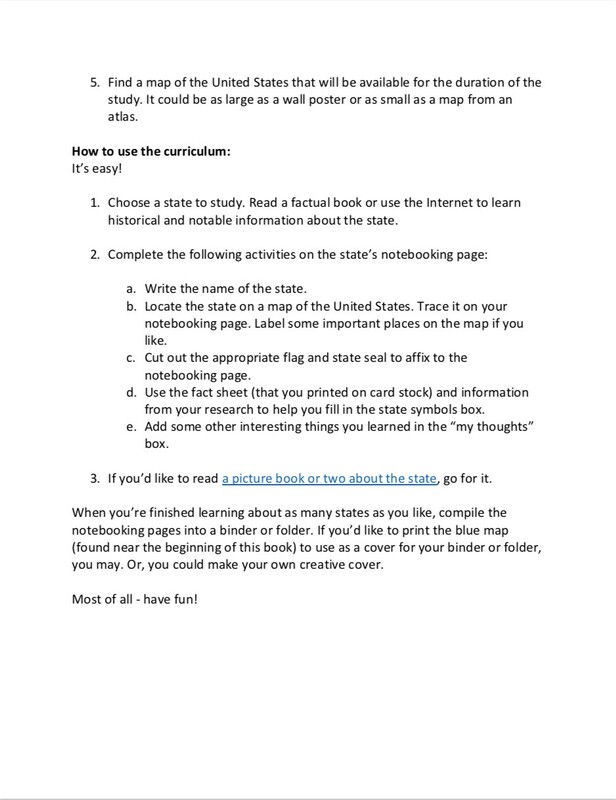 Prepared notebooking pages like these promote creativity and motivation to write well. 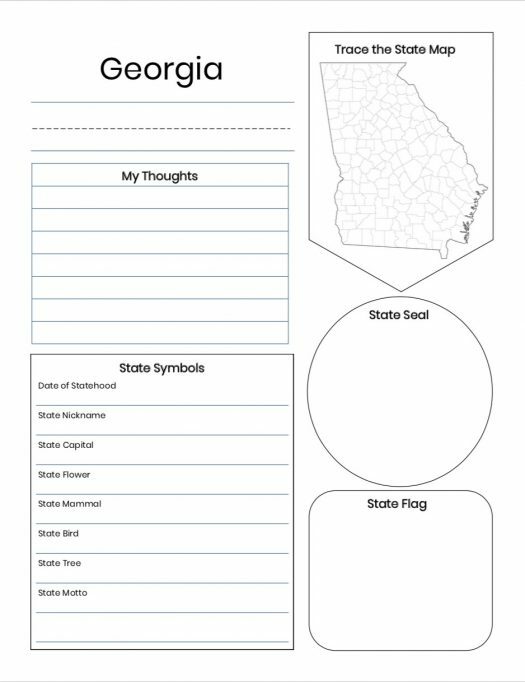 At the same time, they can ease the “I don’t know what to write” fear since the pages give some inspiration through pictures and segmented spaces. 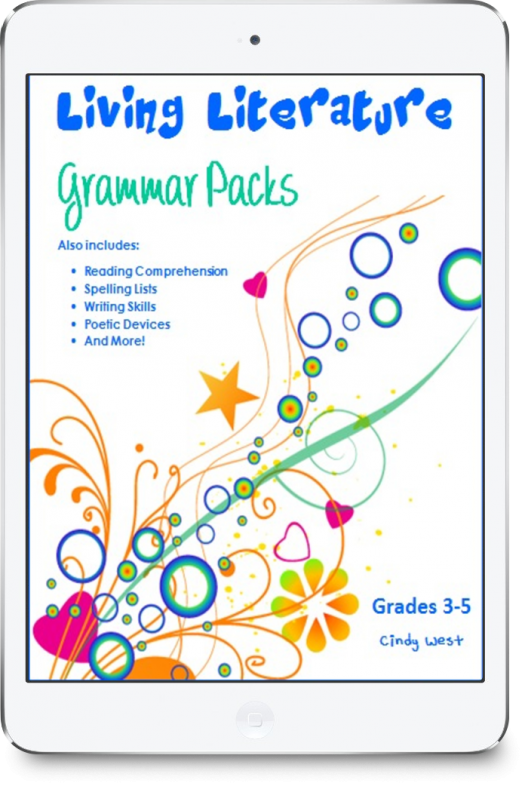 Additionally, for those of you who use the practices of copywork, dictation, or written narrations, these are inspirational pages on which to write those.